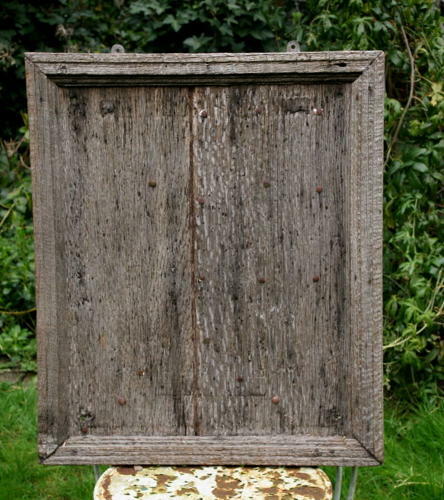 Beautifully weathered English Oak, Church Notice Board. Wonderful folky surface silvery/grey as the oak weathered naturaly over time. English, must be early 20th of late 19th century.